Registrations for the 2018/2019 Summer season will open on Sunday 12th August 2018 at 12pm. Welcome to Kedron Lions Summer 2018/2019 season. Registrations close 27th August 2018. This includes players born in 2008,2009 and 2010 wishing to play in the Go Competition. 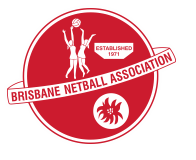 Players born in 2011 to 2013, Brisbane Netball Association is the local provider of the earlier years program (Net Set program). Registration for this program is through the Brisbane Netball Association website. Look to the right of this page and follow us via email for all our news feeds, keeping you up to date with all the news for the current summer season commencing in October 2018. Like us also on facebook. Registration fees for the Summer 2018/2019 competition are payable at the time of registration. No refunds are available after a player has taken the court for the first time.An administrative fee of $30 will be deducted from any player that withdraws without taking the court. The cost is $235.00 per player for players who played in the Winter 18 competition. 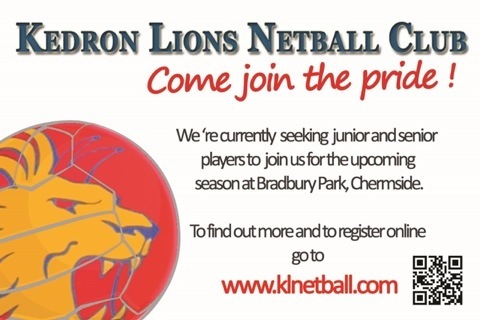 For players new to Kedron Lions or players not played in the Winter 18 competition the cost is $325.00 per player. For any families with a Get in the Game Voucher the cost will be $100.00 per player. Please ensure you select the correct categories when registering otherwise if the correct amount is not paid you might not be eligible to play. A $20 discount applies to additional members of an immediate family*. *An immediate family constitutes parents and their under 18 children only. To be guaranteed a spot in a team, registration must be completed by 27th August 2018.